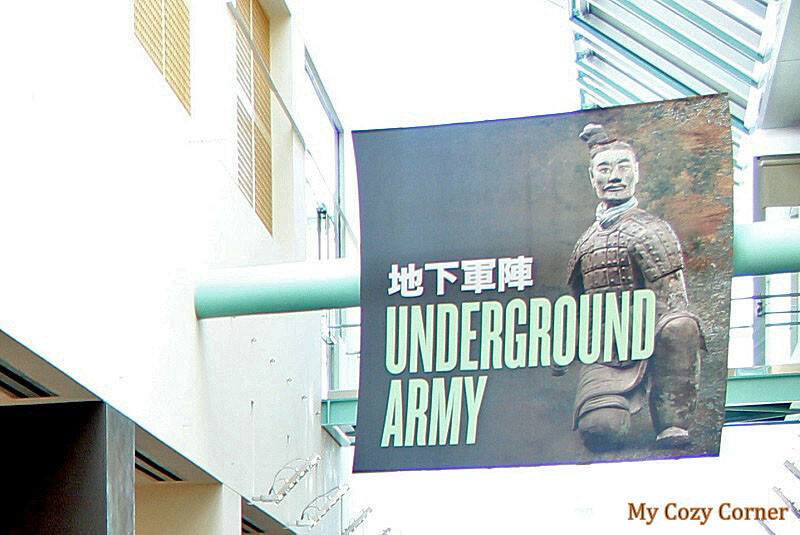 Terracotta Warriors: The First Emperor's Legacy. Driven to secure his place in the afterlife, China's first emperor, Qin Shi Huang Di, began planning for his burial shortly after he ascended the throne at age 13. He died at the age of 39 in 210 B.C. 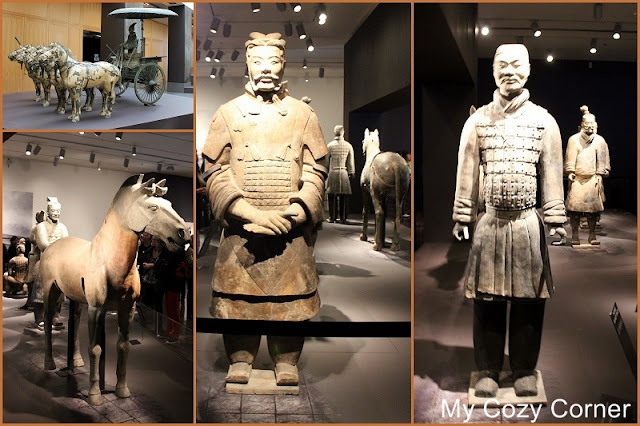 What an fabulous experience to see 10 of the life-size statues and another 120 rare objects from the nearly 250,000-square-foot UNESCO World heritage site. The terracotta army figures were manufactured in workshops by government laborers and by local craftsmen. The terracotta figures vary in height, uniform and hairstyle in accordance with rank. Studies show that eight face moulds were most likely used, and then clay was added to provide individual facial features. Once assembled intricate features such as facial expressions were added. The exhibit was truly amazing. I think I just saved a ton of money because...China has been on my travel bucket-list since I read Pearl S Buck's 'The Good Earth' many years ago. Sweetheart and I had a memorable trip in the City of San Francisco. We don't have any trips planned in the near future, but I'm sure if I go off on an adventure I'll be sure to share the trip with all of you. I hope you have enjoyed a bit of history. Many years ago when my son was in elementary school, The Imperial Tombs of China was on display at The Pyramid in Memphis. He was most impressed with the terra cotta soldiers and talked about them forever. Thanks for bringing up a sweet memory for me! That exhibit was supposed to come to our town last year and was canceled - for what reason I don't know. But how great for you to see them. Amazing pieces of art and history. i loved this exhibit when it was in our area. amazing isn't it. so glad you enjoyed your trip and thanks for sharing it with us ... for me -- memories!